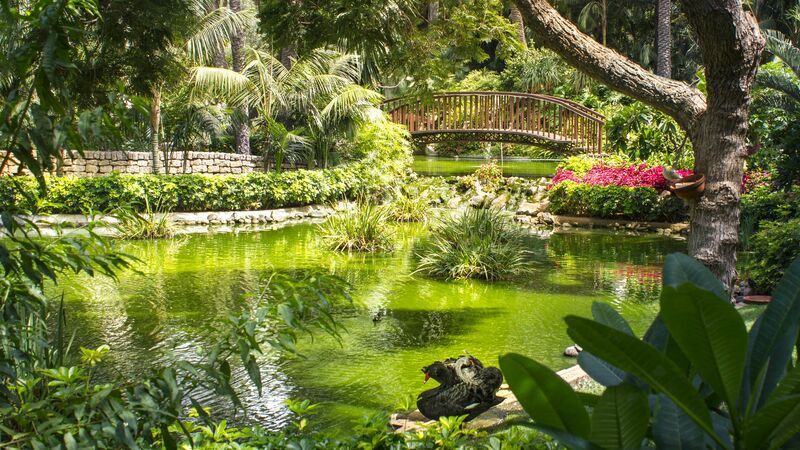 Combining Far Eastern influences with Western luxury, the Hotel Botanico & The Oriental Spa Garden is beautifully unique, and a proud member of The Leading Hotels of the World. Capturing picturesque ocean views, and complemented by serene botanical gardens, this privileged area of Tenerife is known for its impressive subtropical landscape, striking volcanic coastal line and its local culture. Just one and a half kilometres from the resort centre, Hotel Botanico is an ideal base for exploring the delights of Puerto de la Cruz, but it may prove difficult to leave this tranquil paradise. An excellent choice of elegantly appointed rooms provide the ultimate in comfort, whilst the superb restaurants await to indulge your culinary senses. The award winning Oriental Spa Garden offers a full menu of treatments for total relaxation and an experience at the spa will rejuvenate and unwind the weariest of guests – an absolute must to complete your luxurious experience. It's no wonder Conde Nast voted this The Best Spa hotel in Europe. Hotel child prices apply to ages 2–15 years. The hotel has 252 rooms, 5 floors, and 3 lifts. Enjoy tea, coffee, and snacks during the day, and live music entertainment with drinks and cocktails in the evening. 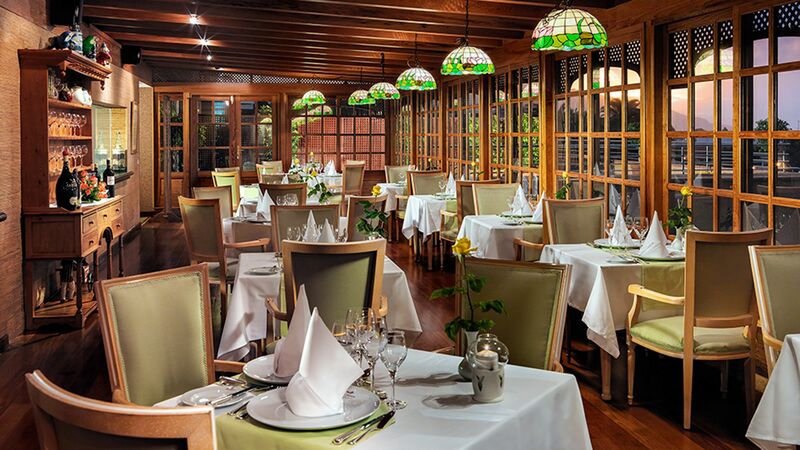 This classic Italian restaurant offers a large antipasti buffet as well as main dishes such as fresh fish served at the table. Guests on half board can have a three-course set menu dinner at this restaurant. 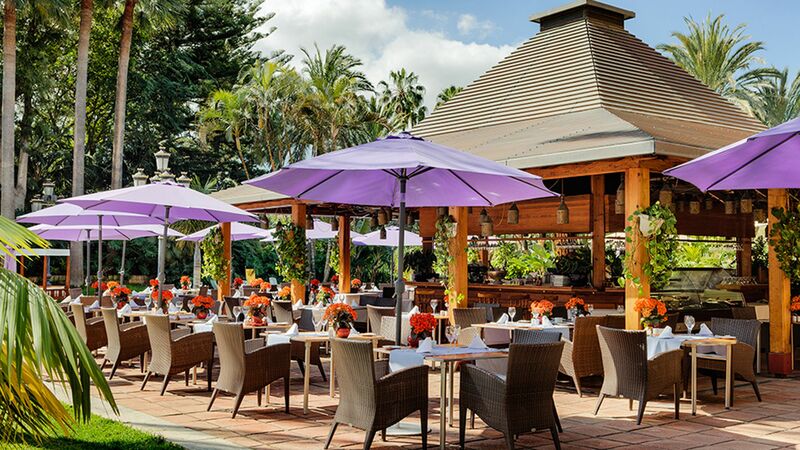 Located amongst the subtropical gardens near the main swimming pool, the La Palmera Real serves an extensive breakfast buffet as well as tasty menu options for lunch. An à la carte Spanish restaurant in an informal setting. 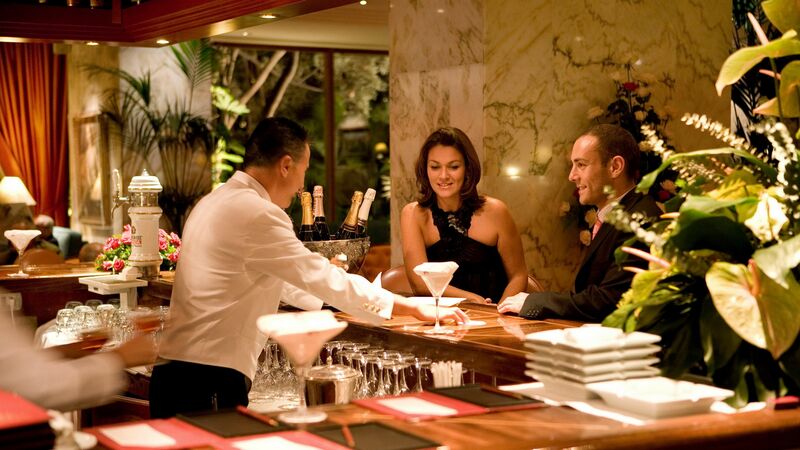 The Oriental restaurant offers gourmet pan-Asian cuisine. 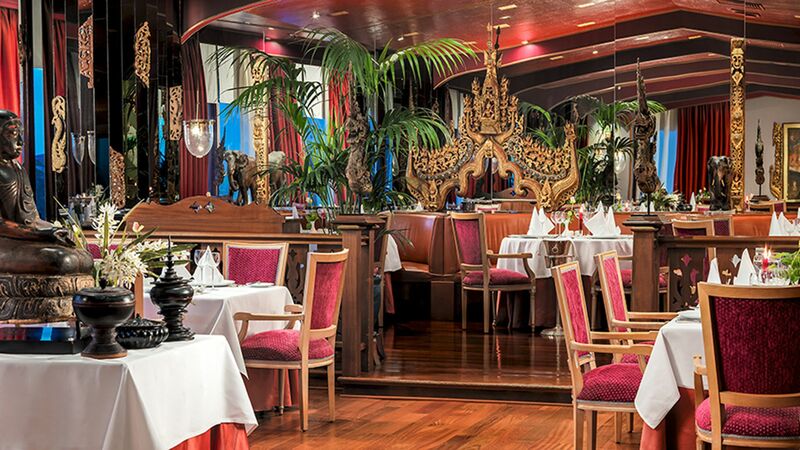 Guests on half board can have a three-course à la carte dinner at this restaurant. Relax on the sun lounger under the umbrella and enjoy a refreshing fruit juice. 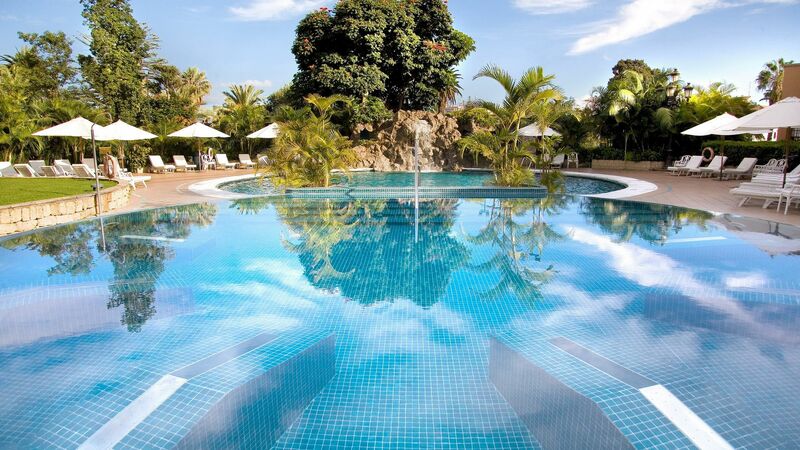 There are two outdoor swimming pools at the Hotel Botanico as well as an indoor swimming pool located in the spa. Those wishing to visit the beach can take an advantage of the courtesy bus service. 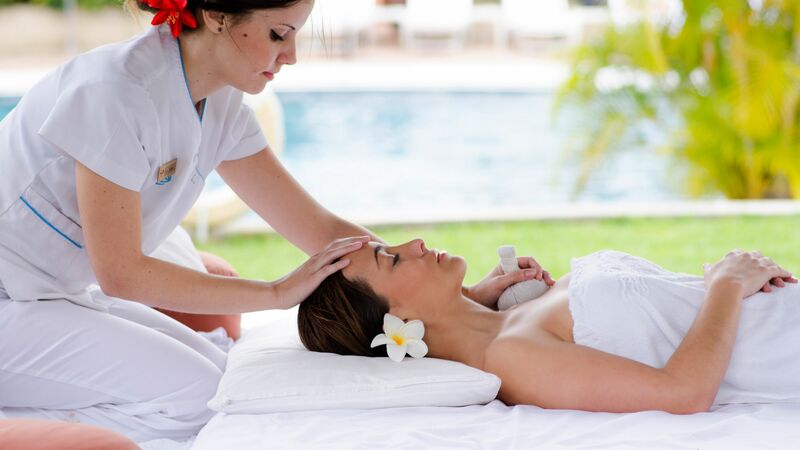 Relax your mind, body and soul at the Oriental Spa Garden. Choose from a selection of rituals, using traditional methods and ingredients, such as Japanese ritual including body scrub with rice powder and cherry blossom, followed by a lotus flower oil massage. A full range of traditional facial and body treatments is also available as well as a thermal circuit including indoor and outdoor heated swimming pools, Japanese sauna, Turkish bath, experience showers, ice room, and more. Please note children under the age of 16 are not permitted in the spa. Guests are able to take advantage of a range of additional facilities during their stay, including two floodlit tennis courts, and a golf zone with putting green and driving range. There are also peaceful gardens to enjoy, with places to rest and enjoy the scenery. 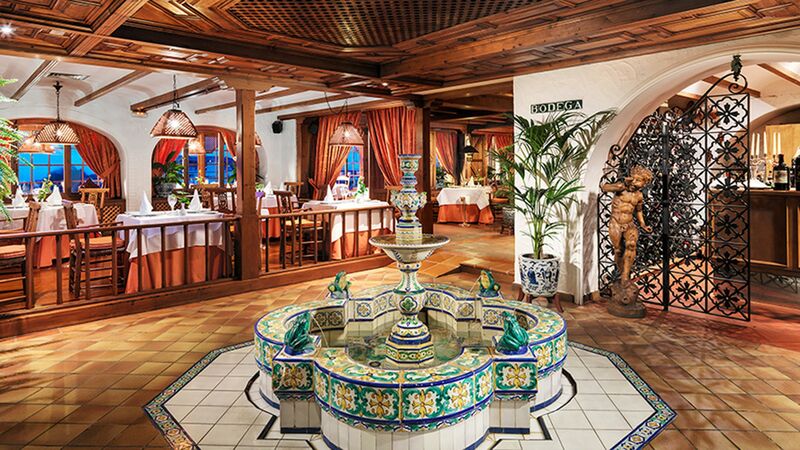 A stylish little gem on Tenerife’s northern coast, Puerto de la Cruz serves up a mix of historic architecture and glam nightlife. There’s a picturesque harbour, filled with seafood restaurants and wine bars that soak up the best of Tenerife’s sea views. The leafy Plaza del Charco, with its cobbled streets and pavement cafes, is a good spot for a stroll or evening drinks. When you fancy cooling off, Playa Jardin’s striking volcanic black sand is particularly stunning against the island’s mountainous scenery, and it’s a great place to flop down on a towel or take a swim. The Lido Martianez is a refreshing place to spend a hot day – it’s created from a natural seawater lagoon and features cascading fountains, terraces and landscaped gardens. Double Deluxe Rooms Garden/Spa View are comfortably decorated and have a king-size bed or twin beds and a furnished balcony with views of the gardens or spa. Double Deluxe Rooms Teide View are comfortably decorated and have a king-size bed or twin beds and a furnished balcony with views of the mount Teide. Double Deluxe Ocean View rooms are comfortably decorated and have a king-size bed or twin beds and a furnished balcony. Deluxe Family Rooms consist of two connecting Deluxe Rooms and have views over Mount Teide or the Atlantic Ocean. Ambassador Junior Suites Garden/Spa View are located in their own wing and are luxuriously decorated, offering plenty of space. Facilities include a king-size bed or twin beds, walk-in wardrobe, a large bathroom with a marble bathtub and separate shower, and a balcony with views of the gardens or spa. Please note, the image used is of an Ambassador Junior Suite with Ocean View. Ambassador Junior Suites Ocean View are located in their own wing and are luxuriously decorated, offering plenty of space. Facilities include a king-size bed or twin beds, walk-in wardrobe, a large bathroom with a marble bathtub and separate shower, and a balcony with views of the Atlantic Ocean. Senator Suites are located between the first and fourth floors of their own wing and feature sliding doors that separate the lounge and bedroom. The marble bathroom boasts a separate bathtub and shower as well as a walk-in wardrobe. This suite offers wonderful views of the ocean. Senator Suites are located between the first and fourth floors of thier own wing and feature sliding doors that separate the lounge and bedroom. The marble bathroom boasts a separate bathtub and shower as well as a walk-in wardrobe. This suite offers views of Mount Teide. Save up to 10% on the hotel price for holidays until 30 April 2020 booked at least 60 days prior to departure. Guests over 16 years receive daily complimentary entrance to the spa to have use of the thermal circuit for holidays up until 30 April 2020 if staying a minimum of 5 nights. Sovereign guests will receive a complimentary bottle of wine in their room on arrival for holidays until 31 October 2019. Save up to 3% on the hotel price for holidays until 30 April 2020 when staying a minimum of 21 nights. Honeymooners will receive a 10% discount per person per night if married less than 2 months (a copy of your marriage certificate must be presented upon arrival) for holidays until 30 April 2020. Superb hotel. Great food. Very helpful staff. High standards of cleanliness. Amazing spa - adult only area, so perfect spot for some tranquility away from the family friendly pool. We enjoyed winding down before kids??? bedtime by walking through the gardens after dinner. Quite a long walk to the beach and town area but just around the corner from some nice restaurants, a fun crazy golf park and a sizeable botanical garden. “ Wonderful hotel for relaxation. We loved the hotel. The spa area was exceptional and the staff all so helpful and obliging. We enjoyed Ahmed?? ?s drinks/ cheese classes in the bar and breakfast was very good indeed. The only negative is that I rang hotel before departure to ask that no feather pillows be put on the bed as I am asthmatic. When we arrived I checked one of the pillows and thought it was fine. However I woke up in the night with a bad asthma attack and discovered the other pillows all contained feathers. Next morning I asked for synthetic pillows again These were immediately provided but the feather pillows were not removed so we ended up stuffing them in the wardrobe. It would be great if staff could have some training on this as they clearly didn?? ?t understand how serious an allergy to feathers can be. Once the issue had been sorted we had a wonderful holiday. I definitely recommend the hotel for anyone wanting a rest and to get away from it all Many thanks to all the staff for their hard work. My week here was exceptional. A very easy hotel as a solo traveller and I really did not want to leave. The spa is great particularly being non smoking and I took advantage of many of the fitness classes and craft demonstrations. I usually travel round quite a bit when I am in a new destination but the hotel was so good i didn't want to leave the hotel. I did make it out to the zoo which I also recommend, particularly the penguins. The staff are excellent and have good English. Their tag line says it all - this truly is one of the leading hotels of the world. We have been staying here for just under a week and we have wanted for nothing. The spa is truly world class with multiple steam rooms, indoor and outdoor swimming pools and countless treatment rooms, aquaponics, sauna, gym and a tai chi/yoga/Pilates studio. The rooms are business like but clean and well stocked, the cleaning staff are not invasive. The soundproofing between rooms is excellent. Like all 5* hotels you pay a bit more for the in-house restaurants, and the oriental and Spanish are definitely better than the Italian restaurant, but breakfast is amazing. The gardens in the hotel are lush and constantly manicured. The koi ponds leading to the spa are an added bonus which are indicative of the quality of this hotel. It?? ?s not quite Beverley Hills, but it?? ?s getting there and considering this is Tenerife it?? ?s simply stunning. Well, well, well worth a visit.